Earthquake Prediction: Planets Today 3rd May 2017. Planets Today 3rd May 2017. A few important aspects today promise some interesting events. 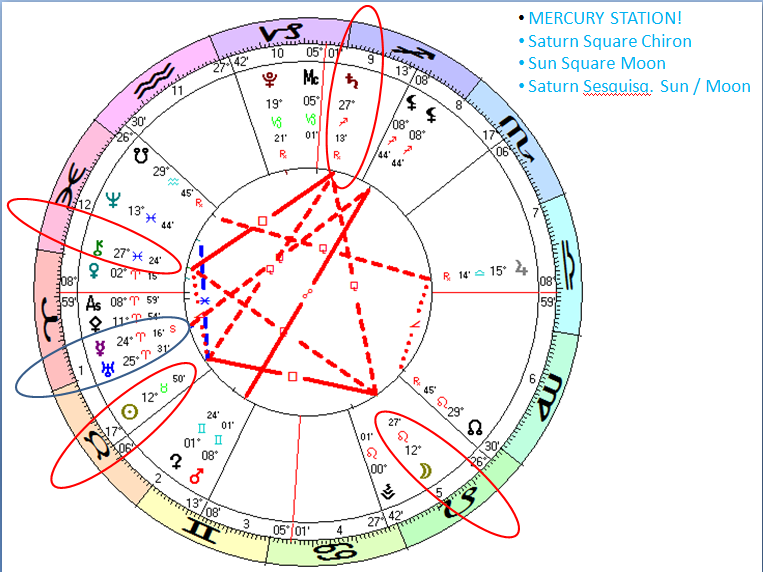 1.An unhappy Mercury in Aries and Station promise 6R which PROBABLy happened last night in Ascention Islands? (5.9R). 2. Sun Square Moon, both Sesquisquare Saturn perfecting a square with Chiron. So, Stress on Saturn today, and usually this follows with earthquakes. We will see. Be Safe Be Good.